This custom designed shell ring holder matches the brides wedding party colors. Purchase this design by clicking here. 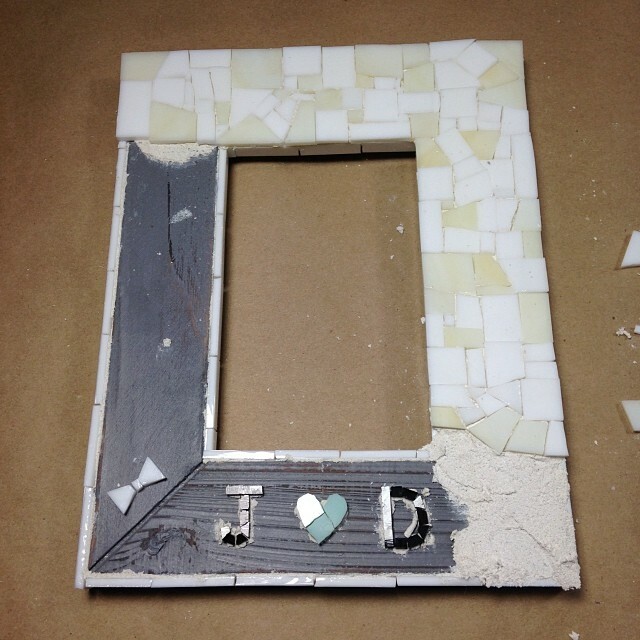 Creating a replenishment of this custom wedding picture frame for Neatly Nested Decor in South Boston.